A calling adult Marbled Godwit in breeding plumage. 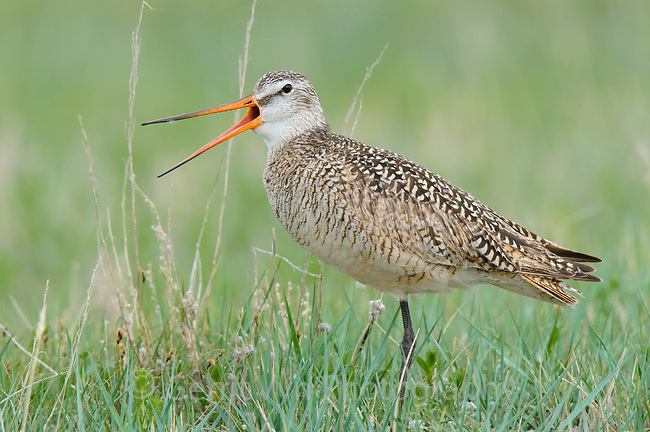 Marbled Godwits breed in the same undisturbed northern prairie grasslands that support greater Prairie-Chickens and Sharp-taield Grouse. Alberta, Canada.